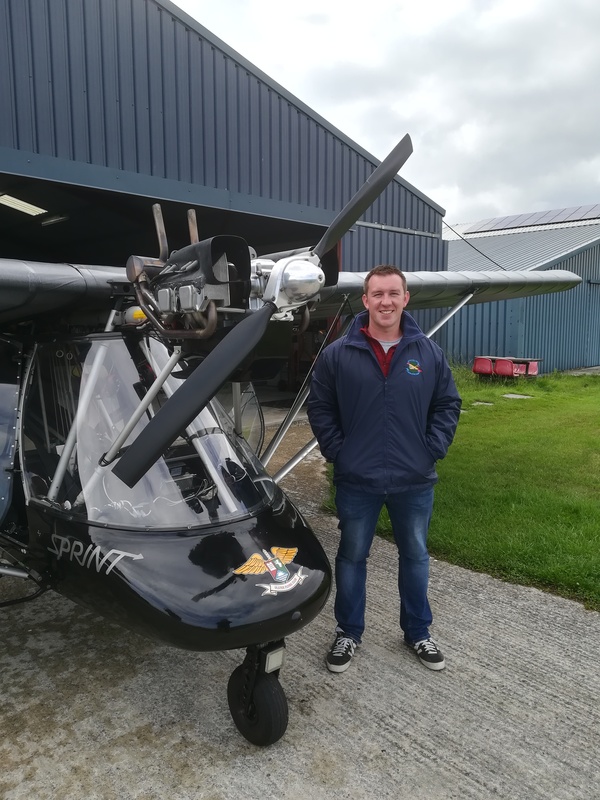 It wasn't a perfect day for flying on 3rd August 2018 but a bit of rain and the occasional sneaky low cloud didn't deter Tom McCrea from completing his Flying Course and passing his final General Skills Test. Tom has planned ahead and last week bought a share in a beautiful Jabiru 450, so all he has to do is wait for his license to arrive from the CAA and then enjoy the rest of the summer playing with those sneaky clouds again. Congratulations Tom.